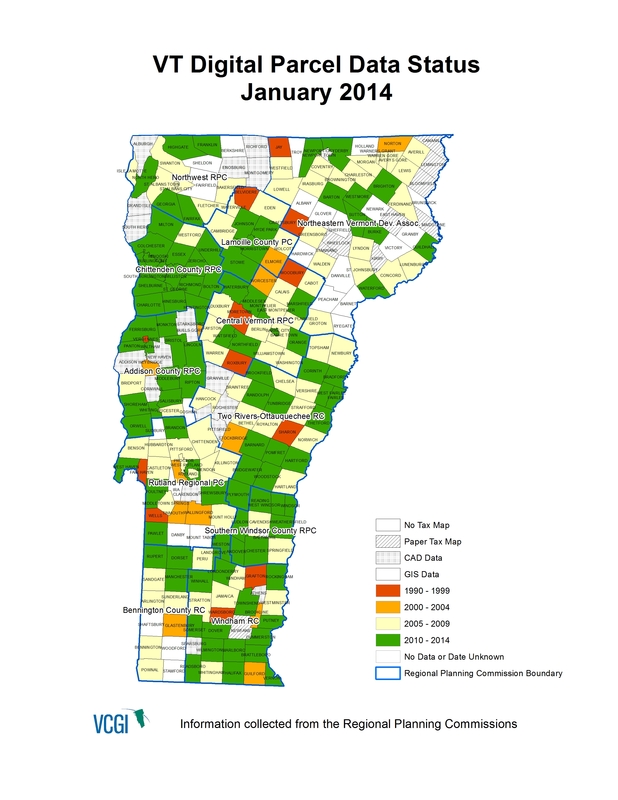 VT Parcel Boundary Map Service Now Available! VCGI has posted a Parcel Boundaries Web Map Service that will be updated at least annually as we receive updated parcel data. Web map services allow users to bring map layers and imagery into their GIS projects or map mashups without actually downloading any data by connecting to the service of choice via the internet. You are currently browsing the VCGI's Blog blog archives for February, 2014.